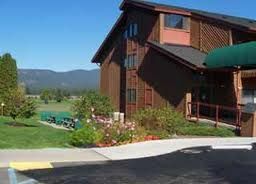 Within the scenic, expansive area of Idaho featuring sparkling lakes, mountainous trails and majestic pine trees is Stoneridge Resort. Active families and those who love staying busy will enjoy the wealth of amenities available through timeshares for sale at Stoneridge. An Olympic sized indoor swimming pool thrills water lovers, while mini golf, racquetball courts, tennis courts and a full size gymnasium challenge sports buffs. After a great workout, enjoy a relaxing spa, steam room and saunas for men and women. A spacious recreation center provides options for arts and crafts classes, game facilities for Wii games, ping-pong, Walleyball and shuffleboard. You will also find sports equipment including snowshoes, cross-country skis, fishing poles, Frisbees, footballs, croquet sets and badminton equipment. Head outdoors to enjoy a gigantic checkerboard set, horseshoe pits and a picnic area complete with barbecue grills. 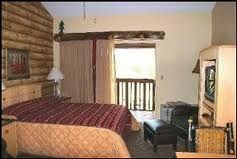 Those who stay at Stoneridge Resort enjoy spacious studio, one and two bedroom timeshare units with home-like amenities. The largest apartments sleep six people comfortably, providing plenty of relaxation opportunities. Extras like a full kitchen including microwave, dishwasher, dishes, cutlery, cooking utensils and glassware make your timeshare unit feel just like home. For extra comfort, you'll find lots of seating, air conditioning, a TV with DVD player, luxurious bedding and nicely decorated surroundings to create a welcoming atmosphere. Near Stoneridge Resort, you will find lake activities like boating, swimming, fishing, kayaking, whitewater rafting, jet skiing and water skiing. 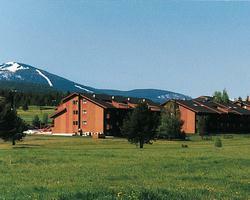 In the winter, enjoy skiing, snowshoeing and cross-country skiing. Horseback riding is available for those who love equestrian pursuits. Once you look to buy these Idaho timeshares for sale, the splendor of this spacious countryside is yours to visit any time of year. Everyone will enjoy the nearby Silverwood Theme Park, shopping, restaurants, scenic drives and a uniquely themed mini golf course. Holes on the course are designed to portray interesting parts of Idaho that can be seen on the historic Panhandle Loop Tour, so visitors get an interesting history lesson as they enjoy games of mini golf. Contact Stoneridge Resort Specialist Today! Days: Friday / Time: 6:00 P.M.